Check out this shot of last night's Full Strawberry Moon with an Airplane Transit Cross the Moon and Saturn in the lower right. Open large or zoom in to see Saturn and rings. I couldn't have planned this if I tried. I was out having a little fun, shooting the Strawberry moon and Saturn in opposition. 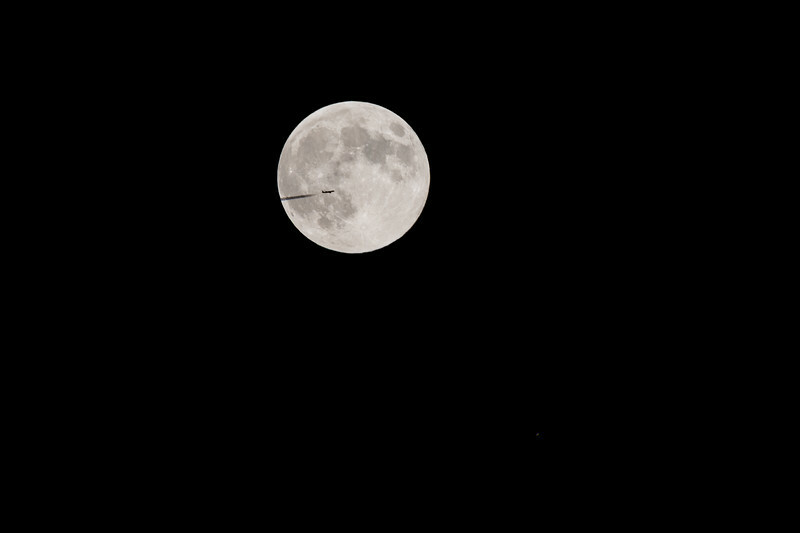 I didn't even see the plane transiting the moon as I was shooting. It wasn't until looking at the pics on the back of the camera later that I saw it. At first I thought it was a cloud or a bug or something. This was shot about 50 minutes after sunset. I'm in the Wisconsin North Woods currently so I had to wait until the moon rose above the trees for clear line of sight.